We offer Salaried and Tuition-fee School Direct programmes in primary and secondary education. Our programmes all lead to the recommendation for the award of QTS (Qualified Teacher Status). We also offer the opportunity to add a PGCE (Post-Graduate Certificate in Education) to your programme; this contains Master’s level credits and is provided by Oxford Brookes University. The first thing to think about when you’re considering teacher training is whether you have recent and relevant classroom experience; the best way to decide if teaching is for you is to see it in action! We offer two different programme routes, the Salaried programme and the Non-salaried programme. Before you start your application have a look at the details for the two different routes and think about what’s the best option for you. We offer a part-time option for all our Non-salaried programmes. Before you start your application ensure that you are aware of the entry requirements for teacher training programmes and that you will be able to meet these criteria before the start of the programme. Our school-based recruitment and selection process has been carefully designed to ensure that candidates are able to present themselves in a range of appropriate contexts. Candidates who demonstrate that they meet our person specification in their application will be invited to a full day recruitment and selection day at one of our partner schools. For Salaried candidates who were successful in stage one, there is an additional second ‘in-school’ process. After the stage one process, candidates will either be informed that they were unsuccessful and will be given feedback, or that they have been recommended for a stage two interview in potential placement schools. Once the relevant stages of the recruitment process are complete we will make offers on UCAS, candidates will also receive an offer letter and a welcome pack explaining the next steps. Generally speaking the placement schools will be decided by the Director of SCITT, a number of factors will be involved in the decision making including- which schools are able/willing to sponsor or employ an Associate Teacher in that subject, the geographical location of the candidate and school and the suitability of the school to best support that Associate Teacher. In addition to the Welcome Pack of information and enrolment forms we will regularly keep in touch with our applicants to ensure that any questions and problems are resolved quickly. 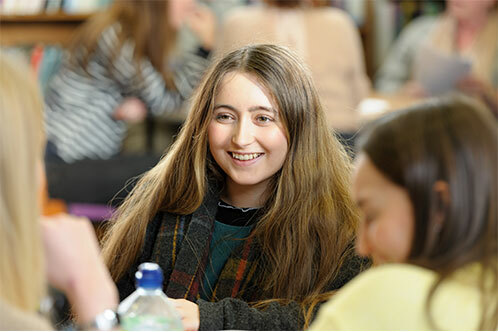 The Tuition fee programme begins with The Induction Week 8th -12th July 2019. We really hope that all candidates will be able to attend the full five days, in order to get started with their training and visit their placement schools. The Salaried programme starts on 17th June 2019 with the Summer Programme, this is a compulsory part of the programme so please do make sure that you are able to start on this date and get in touch if you have any questions about this.